A FREE digital Jigsaw Puzzle of this painting is now available through iTunes and Google Play that you can make on your phone or tablet! 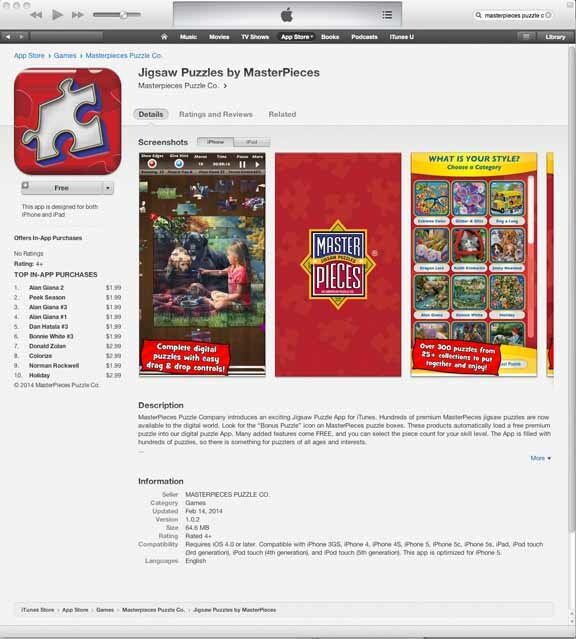 The FREE App by MasterPieces Puzzle Co. is called Jigsaw Puzzles by MasterPieces. Besides "A Day in the Park II" (called "Willow Whispers" in the App), there are 15 more of my paintings available in this fun new App. 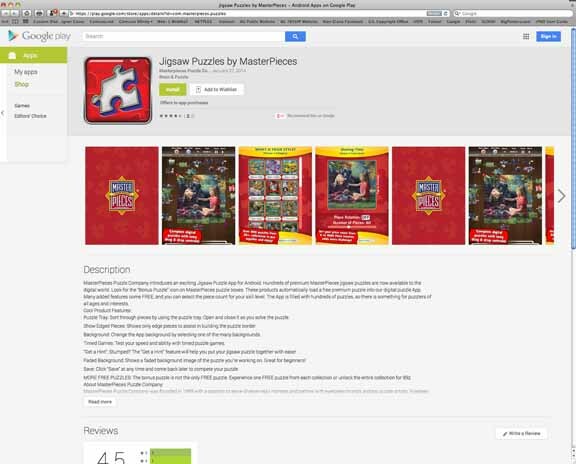 Go to the App store and search for "Jigsaw Puzzles by MasterPieces"
• Pick the puzzle size you want to make - from 6 to 400 pieces. • Use the Puzzle Tray to sort through pieces - open and close it as you solve the puzzle. 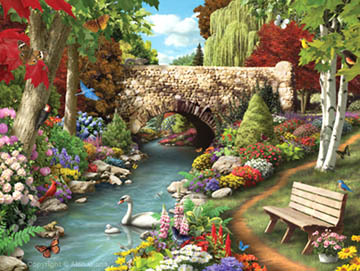 • Show Edge Pieces will assist you in building the puzzle border. * Change the Background Color of the virtual table your puzzle sits on. • Choose Faded Background to show a faded image of the puzzle you're working on. • You can do Timed Games that test your speed and ability with timed puzzles. • Use the Get a Hint feature to help you make the puzzle. • Auto Solve will complete the puzzle for you. • You can Save your puzzle at any time and come back to it later.